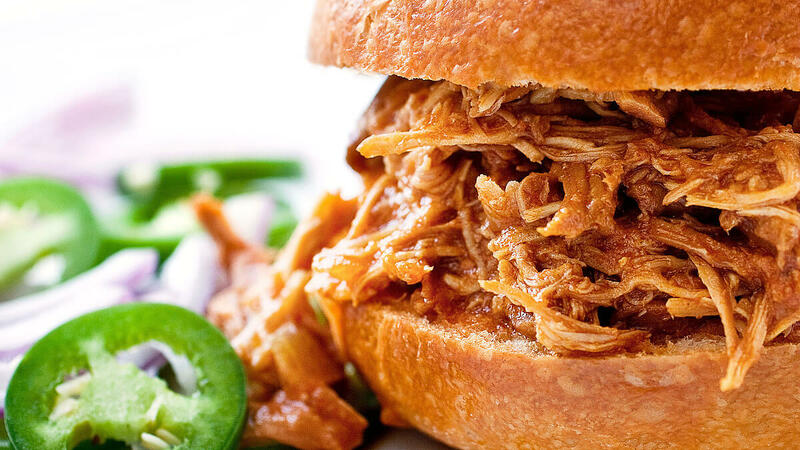 Slow down and enjoy this slow cooked barbecue pulled chicken. Slow roasted for five hours with paprika, honey, Worcestershire sauce, and chilies for a tender and delicious finish. Take a page from my digital cookbook and find the perfect chicken recipe for your family. Ready in under 30 minutes? Gluten-free? Low calorie? I've got them all covered! × You liked this recipe? Enter your email address below to get other delicious recipes, exclusive deals and more. The folks at Foster Farms won't share it with anyone. Promise!